Chair caning history goes way back. 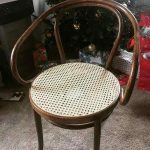 The craft of chair seat weaving and chair caning, in particular, has been practiced for centuries and is still a viable craft today, experienced all over the world. Similar cane or “wicker” weaves date back as far as Egyptian times with artifacts such as a woven daybed discovered that once belonged to King Tutankhamen, (1325 B. C.). Chair seat weaving, and especially chair caning was practiced in South East Asia, Portugal, France, and England in the mid-1600s, becoming very popular and extensively used through the 1700-1800s and on into the early 1900s. 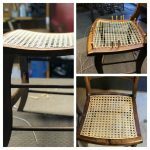 The techniques and materials have not changed much in all the years and only a few common tools are necessary to repair chair seats, making chair caning a craft that nearly anyone can master with just a little patience and tenacity. What is this material called “Chair Cane”? 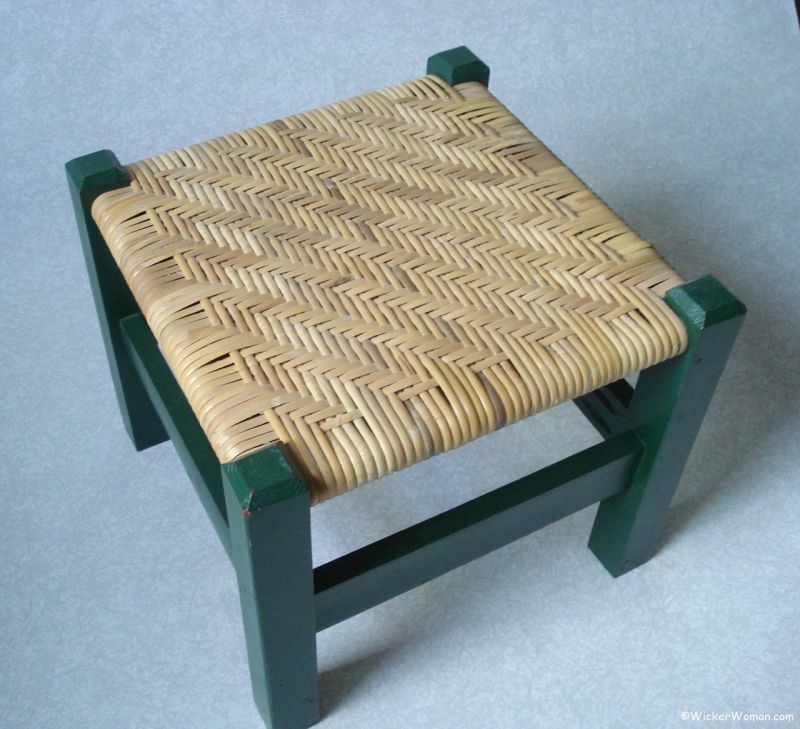 The strand chair cane used in seat weaving is the shiny, glossy skin or inner bark from the stem or trunk of the rattan palm, genus Calamus Rotan. There are hundreds of species, but only a few are suited to produce the high quality needed for chair seat weaving. Rattan palms grow primarily in the Far Eastern tropical areas of the world, such as Southeast Asia, including Sumatra and Malaysia, China, Singapore, and Hong Kong. Calamus rattan is a single-stem climbing jungle vine that grows vertically for three or four feet, then jumps to an adjacent tree and begins to climb it, similar in nature to our grapevine. The rattan can grow to great lengths up to as long as 600 feet, but the spans of 150-300 are more the norm. It has strong thorns which enable it to crawl through the jungle trees at will in the treetops. The stalks are uniform in diameter, with those used for chair caning and wicker furniture ranging from 1/2″ to 1 1/2 ” and remain extremely flexible. 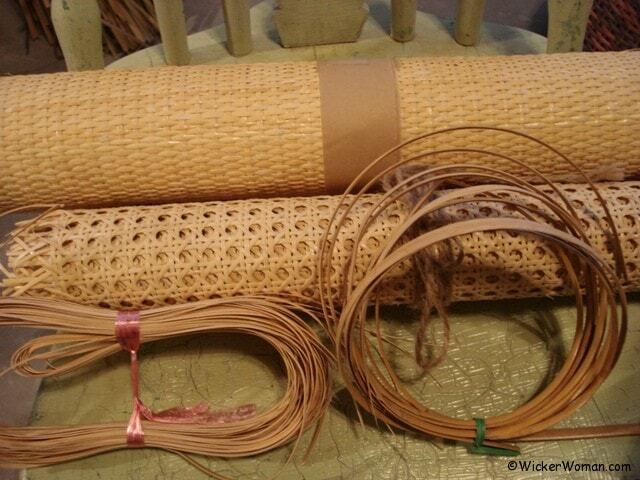 Making this species of rattan skin, or bark and the inner pith called “reed,” desirable for basketmaking and wicker-work as well as chair caning. Commercial processing is done primarily in Singapore and Hong Kong, although there are also fine processing centers in Europe, too. How is Chair Cane Used? Chair cane (the outer skin or bark of the rattan palm) is used primarily in weaving antique and modern chair seats. However it’s also used extensively as wrappings on rattan furniture and is sometimes used to weave entire sets of new or reproduction wicker furniture. 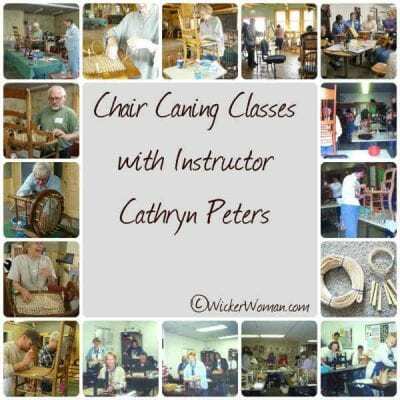 Watch the video below to see how to weave the most popular type of chair caned seat, hole-to-hole traditional hand caning . 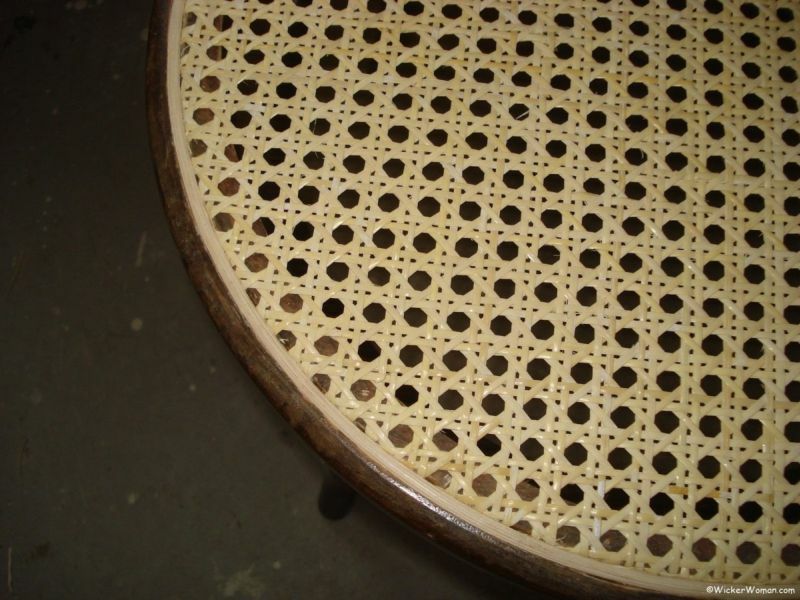 Hole-to-hole traditional hand caning or 7-Step Method of Hand Chair Caning , which is weaving individual strips through a series of drilled holes around the perimeter of the chair seat frame. Spline, machine or cane webbing where a sheet of cane is inserted into a groove around the perimeter of the chair seat and held in place with glue and reed spline. 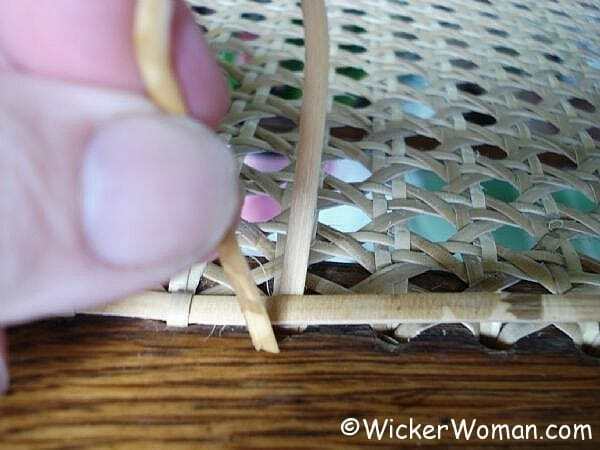 Porch cane or wide binding cane seats are woven around the seat dowels of chairs and rockers using very wide (1/4″) strips of cane forming a double layer of weaving. How do you tell Chair Cane from Rattan Reed? There are sharp thorns on the outer portion of the rattan palm pole that are removed before the actual processing of the skin or bark called “cane” takes place. After the thorns are removed, the naturally glossy skin or bark is sorted, graded and stripped into various widths by machine and packed in hanks and coils. 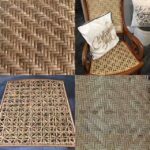 Here’s an excellent video on processing rattan taken by my good friends Kim and Tim Ravenhorst, owners of Former Glory in the UK. This bark or skin from the rattan pole, the strand cane, is then used for both hole-to-hole chair caning, over-the-rail caning and sheet woven or spline caning. And because of the natural glossy feature of the cane, it does not accept either a stain or paint well. The inner pith of the rattan palm is porous called “reed” and comes in a variety of shapes and sizes, used for weaving wicker furniture and weaving baskets, primarily. And since this reed is porous, it has the added benefit of accepting a stain or paint very well. 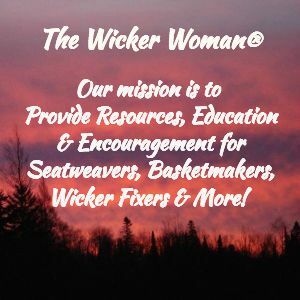 It’s used a great deal in wicker furniture construction as well as basketry. RELATED: What are Cane & Reed? Reed is processed into round, flat, flat-oval and oval-oval reed, and packaged into typical one pound coils. And since, unlike the glossy cane skin, reed is porous and does accept both stain and paint very well, it’s an excellent material for woven wicker furniture and basketry alike. Want to save money? Do some chair caning yourself! The weaving method, design and material used in chair caning has not changed much over several hundred years. 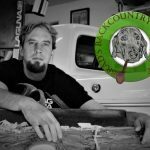 It’s a great way to supplement your income and keep the craft alive, too. And although there are other hand or strand caning designs, the “7-Step Method Chair Caning” or “6-Way” traditional strand cane weaving pattern seems to be the most reliable and strongest for everyday use. Taking a chair caning class is probably your best bet to learn all the chair caning techniques. You’ll get the tips and tricks to save you time, because in this industry, time is money. Seatweaving, specifically chair caning, is not difficult, it just takes time and patience to perfect. 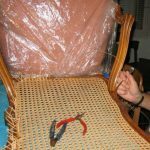 Knowing how to weave hole-to-hole traditional hand caning, sometimes called strand or lace chair caning, is a very valuable skill to have, especially during these economically difficult times. Think of how much money you’ll save by doing the chair caning yourself when the seat falls apart. And at the same time you’ll learn a new marketable craft skill. As you might guess, the biggest cost factor when you are providing a seat weaving service are the repair labor charges, then the material costs. Chair caning is a very good and lucrative skill to possess, especially for the retiree or stay-at-home mom, or on a part-time basis to supplement your income! You’ll be able to recycle, reuse, restore and preserve your flea market finds and precious family heirloom antique cane chairs in the process. Place your ad today, advertise on the National Furniture Repair Directory™, fill out the form and pay for your ad, all on one page. Bip, bap, you’re done! 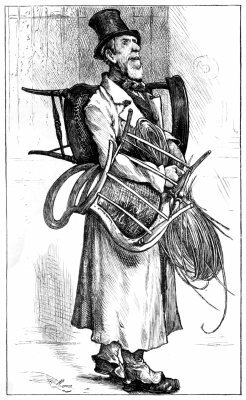 Hope you enjoyed this FREE article on “Chair Caning-History, Craft, Tips” and will help to support this information site by donating generously! Thank you!